Anthropomorphic elephants. There really aren't enough games with anthropomorphic elephants in them. Sure, I'd like to get some more anthropomorphic bears, but you take what you can get, and if I can get anthropomorphic elephants, I'll take them. 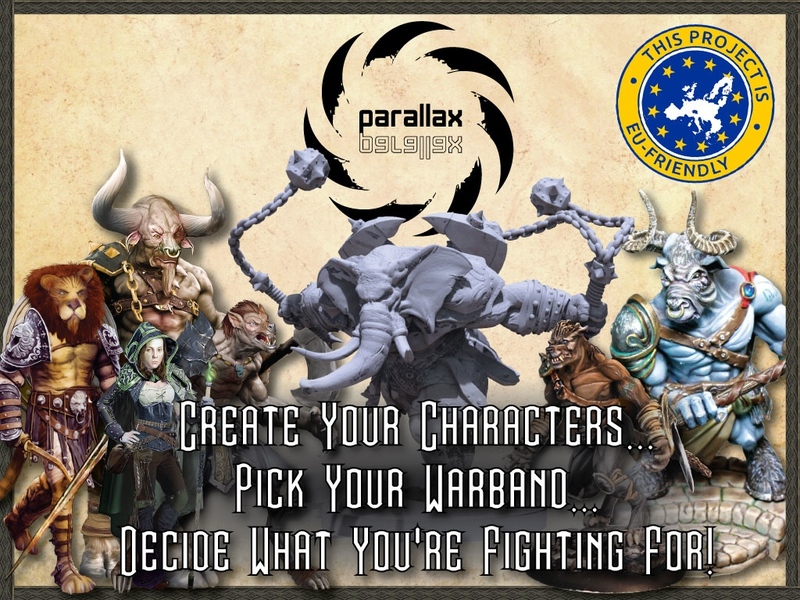 Having said that, I direct you to Parallax: Warband, a fantasy miniatures skirmish game, which has relaunched over on Kickstarter. The game is designed to be a bit of a bridge between RPGs and skirmish games, with each character you choose to bring to the table filled with customization options, letting you take just what you want. There's over 100 skills and 5 classes that you can create your characters with. Or you can use pre-made characters, if there's one that strikes your fancy just right. You can also have a species-centered army, or have a melting pot of mercenaries fighting just for their own joy (of gold). The Kickstarter is up and running now. They're about 2/3 of the way to funded with still 24 days to go.